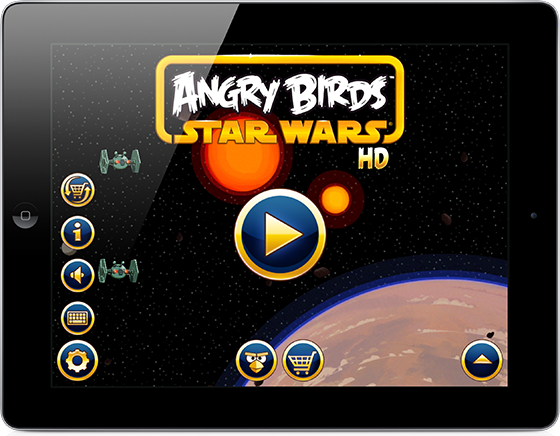 Angry Birds Star Wars For iOS, OS X, Android And Windows Phone 8 Released! 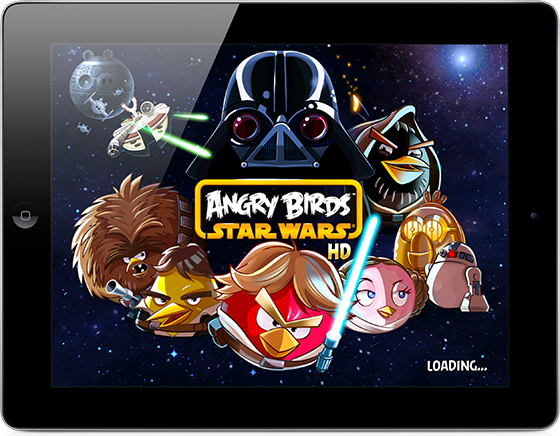 We’ve been teased by Rovio with screenshots and short video casts over the last few weeks showcasing their latest edition to the extremely popular Angry Birds franchise, but now the wait is finally over as Angry Birds Star Wars is officially available to purchase. The release couldn’t have come at a more relevant time with Lucasfilm and Stars Wars being plastered all over the headlines thanks to a $4 billion acquisition by Disney. 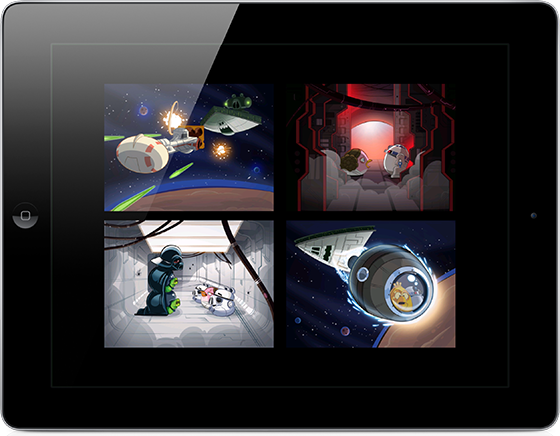 Disney has parted with the cash to make sure Star Wars stays around for future generations, and Rovio are doing their bit to assist with that. One of the great things about this release is that the latest Angry Birds creation has actually landed simultaneously on the iOS, Android, OS X and Windows Phone 8 app markets, signaling a much-welcomed shift in the times for those mobile users who opt to have their needs handled by a platform other than iOS. It also seriously boosts the significance of Windows Phone 8 and will compliment the gorgeous screen of the Nokia Lumia 920 perfectly. 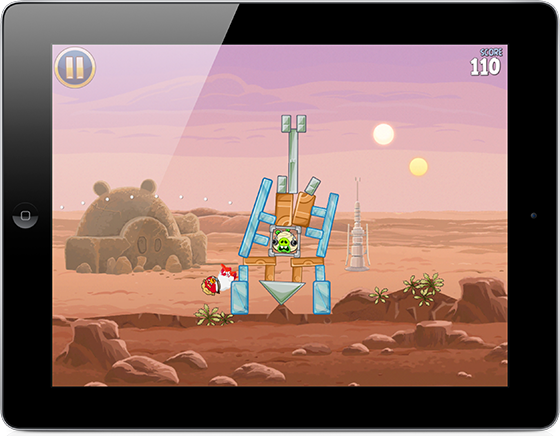 From a gaming aspect, the Star Wars edition of Angry Birds sees those troublesome birds embarking on their biggest adventure yet, and of course, it is all happening in a physics based galaxy far, far away. Surely mobile gaming doesn’t come any better than taking control of a rebel light saber wielding bird taking a stand against the evil imperial pigs? This latest release contains over 80 action-packed levels set in the detailed Star Wars universe, featuring locations such as Tattooine and the Pig Star. Rovio has beefed up the game with a new mechanics engine, which means those little heroic birds can level up to improve their skills as well as benefitting from the use of light sabers, blasters and mysterious Jedi powers to fight their way to freedom from imperial rule. In a similar fashion to previous games and Rovio’s Bad Piggies offering, stars can be earned and used to summon The Mighty Falcon that will give guidance on how to complete specific levels if things get a bit too tough. The graphics are gorgeous, the characters are fantastic and the accompanying soundtrack is perfect for the game. iOS users will also be glad to know that even though the game is two different purchases for iPhone and iPad, at least the iPhone variant is fully iPhone 5 ready unlike the initial launch of Bad Piggies.